June 20 is World Refugee Day. According to the United Nations 1951 Refugee Convention, a refugee is someone who fled his or her home and country owing to “a well-founded fear of persecution because of his/her race, religion, nationality, membership in a particular social group, or political opinion”. The latest figures from the UN Refugee Agency, UNHCR, show that at least 65.6 million people have been forcibly displaced within their own countries or across borders. That is 1 of every 113 members of the human family! Every minute 20 people leave everything behind to escape war, persecution or terror. About half of these refugees are women and girls. Soroptimists strive to empower, educate and enable women and girls. Soroptimists advocate for human rights and for women’s rights in particular and for a world where women are respected with dignity. Refugee women and girls need our specific attention and dedication. They suffer more than others from poverty, lack of clean water and food, no access to education and healthcare, no way to earn an income, and gender-based violence. As Soroptimists, we can’t just sit by and watch. The first and single most important thing that we can do to lessen the suffering for refugees, is to care deeply. To show that we stand with refugees. This caring will lead to action. Let caring become sharing this year on World Refugee Day. Share this day with your friends, share a moment with a refugee, share ideas for action with your sister Soroptimists. Let’s show solidarity and think of a way to assist women refugees at our local, national and international levels. 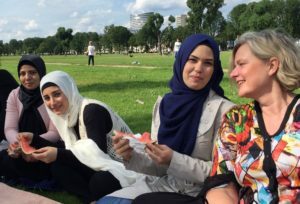 German Soroptimists in Düsseldorf have a project to help refugee women (mainly coming from Syria) with language training, care for children and personal meetings so they learn about their new city and culture. 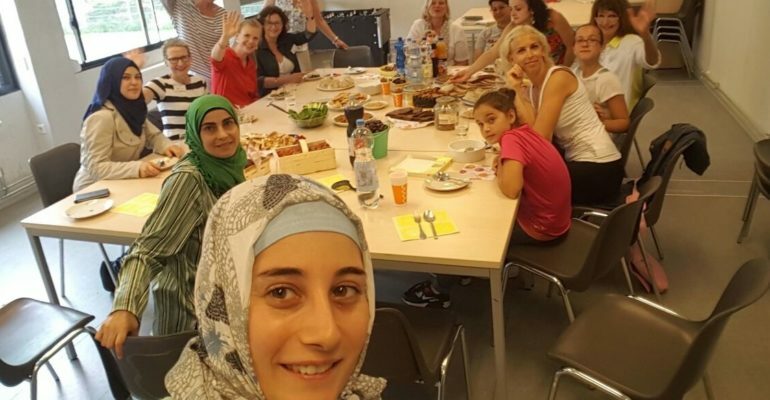 Dutch Soroptimists from Wageningen are involved in organising regular transport between the refugee centre and the city centre using a sponsored minibus. SI Club Ankara uns a reading and writing Turkish Course for refugee children. 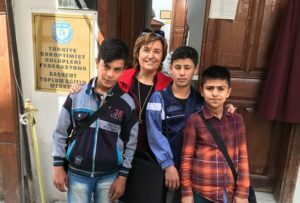 There are many other Soroptimist projects that target refugee women. What can your club do?